The Squirrel Cage Jail was built here in Council Bluffs in 1885. This jail has one of the most unique designs of any jail I have ever researched. This prison had a long run, being used until 1969. Today, it offers tours giving a glimpse into penal history and is said to be home to several spirits. 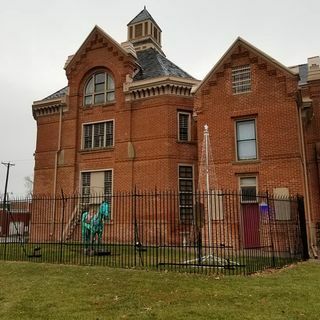 Join me as I explore the history and hauntings of the Squirrel Cage Jail. The Moment in Oddity features Old Mike and This Month in History features Architect Stanford White Born.